The Las Vegas gunman transferred $100,000 overseas in the days before the attack and planned the massacre so meticulously that he even set up cameras inside the peephole of his high-rise hotel room and on a service cart outside his door, apparently to spot anyone coming for him, authorities said Tuesday. Meanwhile, investigators are taking a harder look at the shooter's girlfriend and what she might have known about the attack at a country music festival, with the sheriff naming her a "person of interest" and saying the FBI is bringing her back to the U.S. for questioning. Girlfriend Marilou Danley, 62, landed at Los Angeles International Airport late Tuesday and was met by federal agents, multiple law enforcement sources familiar with the investigation told NBC News. Authorities are trying to determine why Stephen Paddock killed 58 people - and then himself - in the deadliest mass shooting in modern U.S. history. Investigators say they found 23 firearms in the Mandalay Bay hotel room of Las Vegas shooter Stephen Craig Paddock and 19 firearms at his home in Mesquite, Nevada and are stressing that Paddock was the sole shooter. 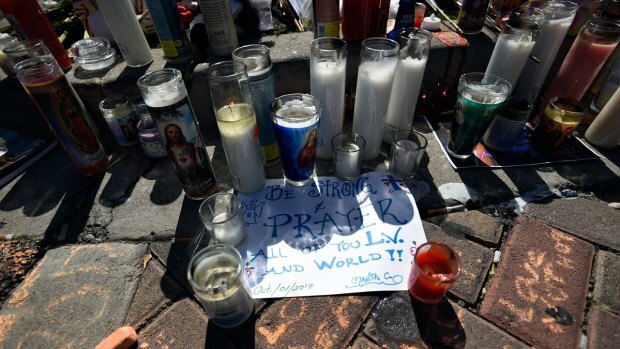 They have been speaking with Danley, who was out the country at the time of the shooting and in the Philippines on Tuesday, and "we anticipate some information from her shortly," Sheriff Joseph Lombardo said. 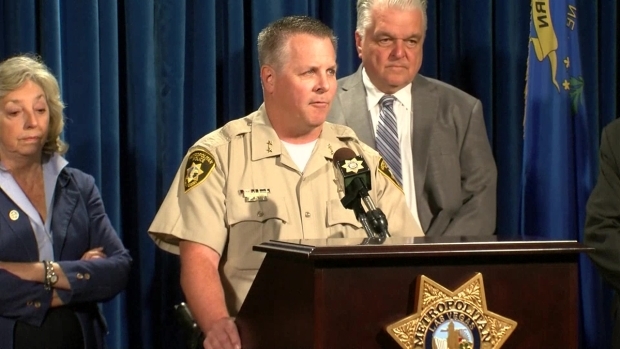 Lombardo said he is "absolutely" confident authorities will find out what set off Paddock, a 64-year-old high-stakes gambler and retired accountant who killed himself before police stormed his 32nd-floor room. 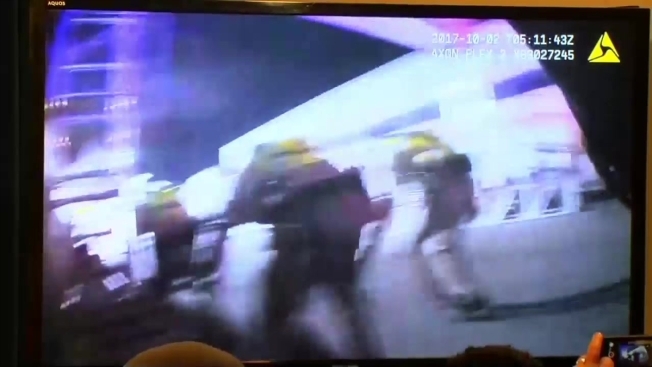 Authorities released police body camera video that showed the chaos of the attack as officers tried to figure out the location of the shooter and shuttle people to safety. Amid sirens and volleys of gunfire, people yelled "they're shooting right at us" while officers shouted "go that way!" Clark County Undersheriff Kevin McMahill said the shooting spanned between nine and 11 minutes. 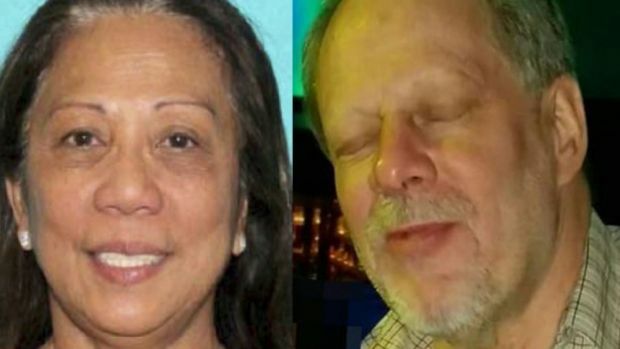 Paddock transferred $100,000 to the Philippines in the days before the shooting, a U.S. official briefed by law enforcement but not authorized to speak publicly because of the continuing investigation told The Associated Press on condition of anonymity. Investigators are still trying to trace that money and also looking into a least a dozen financial reports over the past several weeks that said Paddock gambled more than $10,000 per day, the official said. The cameras Paddock set up at the Mandalay Bay hotel casino were part of his extensive preparations that included stockpiling nearly two dozen guns in his room before opening fire on the concert below. McMahill said the cameras included one in the peephole and two in the hallway. "I anticipate he was looking for anybody coming to take him into custody," Lombardo said. During the Sunday night rampage, a hotel security guard who approached the room was shot through the door and wounded in the leg. "The fact that he had the type of weaponry and amount of weaponry in that room, it was preplanned extensively," the sheriff said, "and I'm pretty sure he evaluated everything that he did and his actions, which is troublesome." Lombardo said the investigation is proceeding cautiously in case criminal charges are warranted against someone else. "This investigation is not ended with the demise of Mr. Paddock," the sheriff said. "Did this person get radicalized unbeknownst to us? And we want to identify that source." In addition to the cameras, investigators found a computer and 23 guns with him at the hotel, along with 12 "bump stock" devices that can enable a rifle to fire continuously, like an automatic weapon, authorities said. 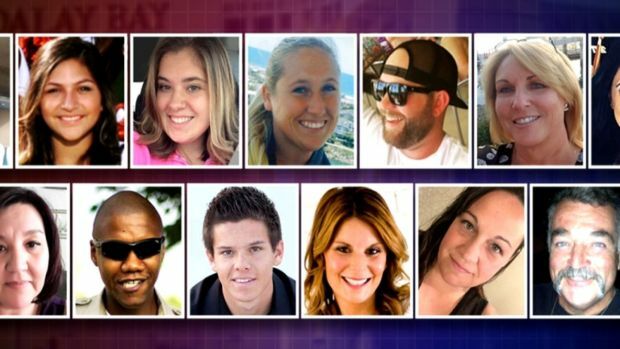 Nineteen more guns were found at Paddock's Mesquite home and seven at his Reno house. Video shot outside the broken door of the room shows an assault-style rifle with a scope on a bipod. The sheriff said an internal investigation has been launched to find out how that footage was obtained. Some investigators turned their focus Tuesday from the shooter's perch to the festival grounds where his victims fell. A dozen investigators, most in FBI jackets and all wearing blue booties to avoid contaminating the scene, documented evidence at the site where gunfire rained down and country music gave way to screams of pain and terror. "Shoes, baby strollers, chairs, sunglasses, purses. The whole field was just littered with things," said Nevada Attorney General Adam Laxalt after touring the site Monday. "There were bloodstains everywhere." More than 500 people were injured in the rampage, some by gunfire, some during the chaotic escape. At least 45 patients at two hospitals remained in critical condition. All but three of the dead had been identified by Tuesday afternoon, Lombardo said. As for what may have set Paddock off, retired FBI profiler Jim Clemente speculated that there was "some sort of major trigger in his life — a great loss, a breakup, or maybe he just found out he has a terminal disease." Clemente said a "psychological autopsy" may be necessary to try to establish the motive. If the suicide didn't destroy Paddock's brain, experts may even find a neurological disorder or malformation, he said. He said there could be a genetic component to the slaughter: Paddock's father was a bank robber who was on the FBI's most-wanted list in the 1960s and was diagnosed a psychopath. "The genetics load the gun, personality and psychology aim it, and experiences pull the trigger, typically," Clemente said. 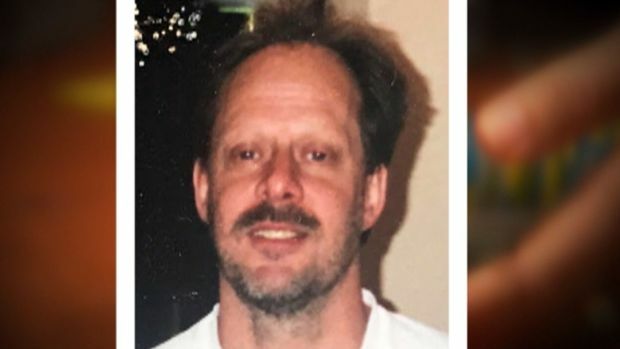 Paddock had a business degree from Cal State Northridge. In the 1970s and '80s, he worked as a mail carrier and an IRS agent and held down a job in an auditing division of the Defense Department, according to the government. He later worked for a defense contractor. The stories of the victims of Sunday's massacre in Las Vegas are as diverse as America itself, 58 people, all with friends and families and jobs and dreams. Those who knew them are choosing to remember not how they left this world, but what they did in their all-too-short time in it. Nevada's Gaming Control Board said it will pass along records compiled on Paddock and his girlfriend to investigators. His brother, Eric Paddock, said he was at a loss to explain the massacre. "No affiliation, no religion, no politics. He never cared about any of that stuff," he said outside his Florida home. The FBI discounted the possibility of international terrorism early on, even after the Islamic State claimed responsibility for the attack. Eric Paddock said his brother did show a confrontational side at times: He apparently hated cigarette smoke so much that he carried around a cigar and blew smoke in people's faces when they lit up around him.